Twin Disc has added a variable idle mode to its joystick control system. Twin Disc has added a Variable Idle Mode to its Express Joystick System and Express Positioning systems. The engine’s idle is automatically adjusted to reduce noise and vibration and improve fuel economy. The system is designed to function automatically so if wind and/or currents increase when an operator is using Express Positioning, Variable Idle Mode adjusts the engine idle. It also regulates the throttle when the joystick is used manually and, when necessary, the idle can be increased for a quicker, more powerful response. New configuration panels let technicians fine-tune engine and thruster rpm controls to a given vessel. EJS provides control of conventional driveline boats. With Twin Disc’s EC300 Power Commander electronic propulsion control system, it actuates engine throttle, QuickShift transmissions and thrusters proportionally to the amount of pressure used. 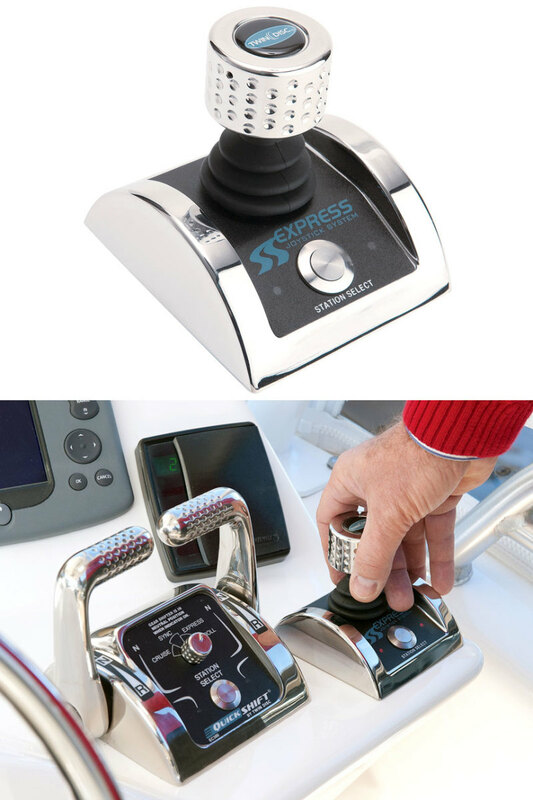 The enhancement is a software upgrade that is included in all new Express Joystick and Express Positioning Systems and can be loaded into existing controls.